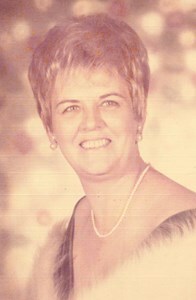 Newcomer Family Obituaries - Darlene Anne Reyome 1937 - 2019 - Newcomer Cremations, Funerals & Receptions. Darlene Anne Reyome, age 81, of Temperance, passed away April 6, 2019 at Otterbein Nursing Perrysburg. Darlene was born October 23, 1937 in Toledo to Delbert and Beatrice (Balk) Locke. In addition to her parents, Darlene was also preceded in death by her husband Donald Moshier and grandson, Bradly Smith. She is survived by her husband, Jerry F. Reyome, children, Dawn (Dr. James) Metzger, Denise (Eric) Timm, Donna (Terry) Smith, Darrell (Chris) Higbie, Tamie (Ken) McFeggan, Jerry (Kari) Reyome, Jr., Tracy Reyome, 10 grandchildren, 11 great-grandchildren,. The family will receive guests Wednesday, April 10, 2019 from 4:00 pm - 8:00 pm at Newcomer - Northwest Chapel, 4150 W. Laskey Rd. (419-473-0300). Funeral Services will begin Thursday at 10:00 am. at the funeral home followed by burial follow at Ottawa Hills Memorial Park, Toledo. Memorial contributions may be made to Cystic Fibrosis Foundation in Darlene's memory in honor of her grandson Bradly. Add your memories to the guest book of Darlene Reyome. During this season of Easter and beyond, may Jesus our God of comfort, our risen Lord, richly bless you all as you remember and celebrate Darlene's life legacy. peacewithGod.net Her memory will live on in the hearts of all who knew her. Please accept my deepest sympathy. May you take comfort from Gods promise to reunite us with our loved ones by means of the resurrection. John 5:28,29.